Buckle up Star Wars fans! In just a few minutes, we’ll present our next #DisneyParksLIVE stream right here on the Disney Parks Blog – a showing of “Star Wars: A Galactic Spectacular” fireworks, live from Disney’s Hollywood Studios. 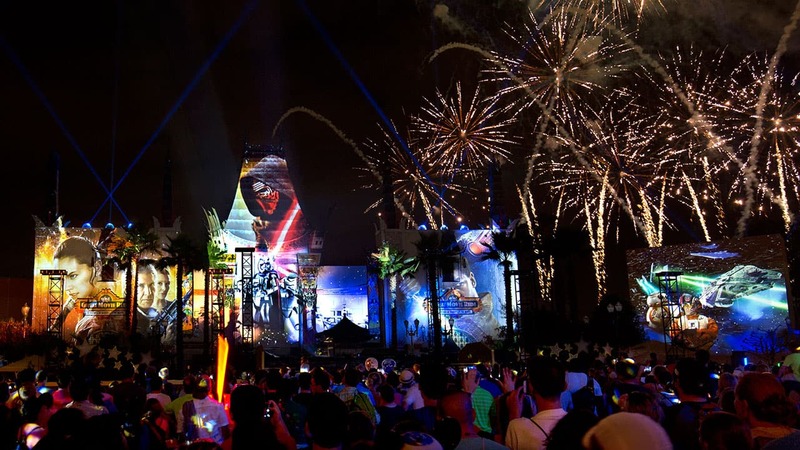 This spectacular is the next generation of Star Wars-themed fireworks shows for the park. “Star Wars: A Galactic Spectacular,” dazzles with new themed fireworks, lasers, special effects and video projections of iconic characters and scenes from the complete saga, all set to the unforgettable score of the film series. Our live stream of this new show will begin at 9:20 p.m. ET. Join us minutes before the fireworks start to learn more about how the show was designed from the show’s creators themselves. Tell us – where in the galaxy are you tuning in from? Watched from Little Rock, AR last night, was an awesome show! Can’t wait to see it in person! What a fantasctic firework also this time ,Disney, thank you so much! I watched it again from Switzerland and I can’t wait to see it in real ??? Will it be on in December? Have a great summer und until soon ???☀️? Wasn’t able to find the link to connect to the show. Io looked everywhere for it. Is it possible to view the broadcast still? I realisé it would ‘t be live but that’s ok. Thanks! Awesome show, can’t wait to go in October for my birthday week!!!! Just finished watching from Maryland; great show and thanks. Watching Hawley Pa. Just saw it live 3 weeks ago but was fun to watch again. We love watching every week from Pittsburgh! i hope you continue to do these in the future. However tonight it would have been nice to watch the whole show from the wide angle camera – instead of zooming in and out so we got the whole thing. Can’t wait for next week though, thanks! Awesome show! Can’t wait to se it live in 75 days! Watching from Holland, NY I can’t wait to see this next year! 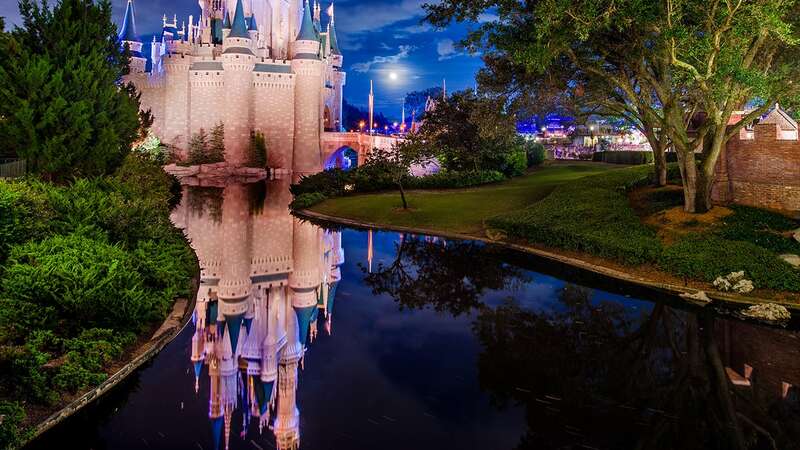 Watched this from South Bend, IN… saw it in person in April… so awesome… thanks for helping us have a little Disney when we can’t be there. We are watching from New York. Loved the live stream but you really need to see at Disney. It was a GREAT show live. Can’t wait to go back. From Quebec city, Canada. I’m a big Disney Fan. I’ve been at Disney World 20 times. This show is amazing. I saw the firework show the last May but now with the video, it’s wonderful ! Where can we find that cool black tank top she was wearing??? We liked the original show better. The music and fireworks where better. The graphics and lasers should have enhanced the show, but based on this stream, I was not impressed. that was so awesome. i love this show! Watching from Montreal, Canada. Just enjoying with family and ho pont to see it live real soon. Watching in Savannah, GA with Anna Leigh and Bryson! Hi! I’m watching it with my pet dog from Japan!! We love the show! The Leven Family in OH. Watching from St. Louis. Amazing! Watching from Caldwell, Idaho! Spectacular! THE LOVELL FAMILY FROM THE NORTH EAST OF ENGLAND ARE STAYING UP TILL 2:30AM TO WATCH TONIGHT. WE WILL BE THERE IN SEPTEMBER! 🙂 CAN’T WAIT! Today is my birthday!! Greatest gift, remembering our visit last year during SW Weekends!!! Watching from Ecuador! Thanks Disney Parks!